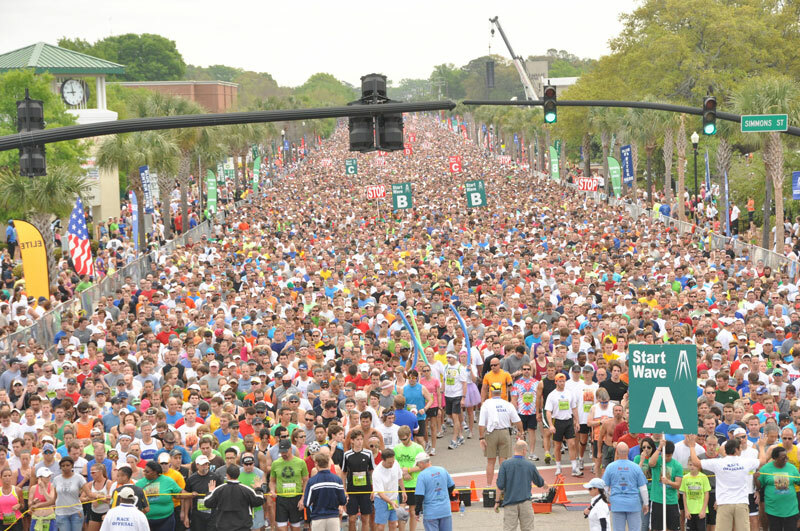 Since the inaugural Cooper River Bridge Run in 1978, the College of Charleston has been closely involved in planning and staging the annual 10K, which consistently ranks as one of the largest road races in the United States. The Cooper River Bridge Run Executive Committee –– which provides oversight for the event’s budget, personnel, policies, race course, and other areas –– includes two faculty members from the College’s Department of Health and Human Performance. 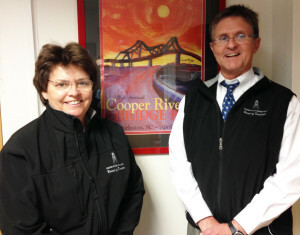 Professor Bill Barfield and Senior Instructor Scooter Barnette of the Department of Health and Human Performance are members of the Cooper River Bridge Run Executive Committee. Professor Bill Barfield has served on the executive committee since 1995, and Senior Instructor Scooter Barnette since 2003. 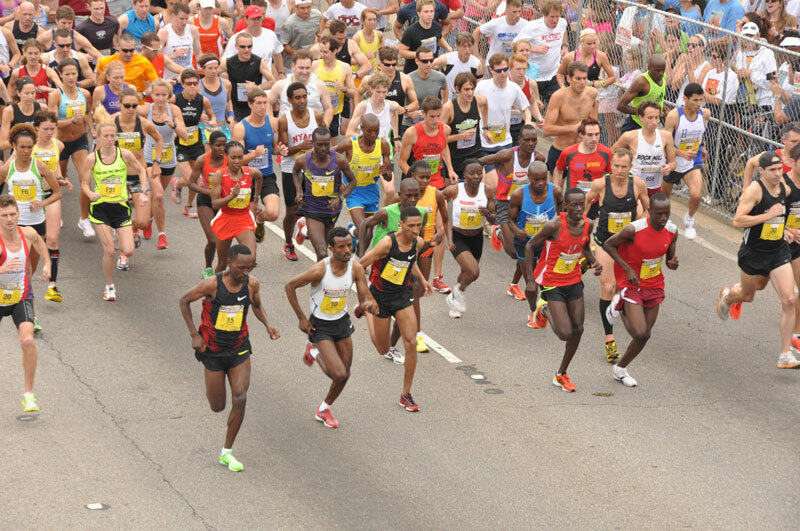 The College’s close ties to the bridge run go back to the race’s origins and its founder, Dr. Marcus Newberry, a physician and former administrator at the Medical University of South Carolina. As the story goes, Newberry wanted to start a race to promote running and fitness in the Charleston area. 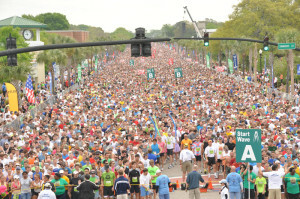 To organize the 6.2-mile run from Mount Pleasant to Charleston, Newberry established a committee comprised of representatives from The Charleston Running Club, The Citadel, The Medical University, and the College of Charleston. Barnette was an undergraduate and member of the women’s basketball team at the College during the race’s inaugural year in 1978. 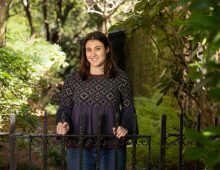 She was taking an exercise physiology class, and her professor encouraged students to take part in the race. She could never have imagined then that the race, which had 766 finishers that year, would still be around 36 years later, drawing upwards of 40,000 participants. 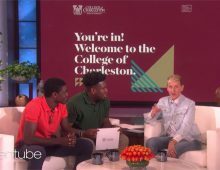 “To have been a student at the College when it first started to now seeing that sea of people coming over the bridge into Charleston is just extraordinary,” Barnette says. An avid runner, Barfield ran his first bridge run in 1979. Back then, he coached soccer at The Citadel. He estimates he’s completed more than 30 bridge runs. And he plans to run this year’s race on April 5, 2014. The College has always been well represented on race day. Hundreds of students, faculty and staff are among the hordes of runners and walkers who make their way over the 2.5-mile span. The campus community is also visible among the legions of volunteers who staff the start and finish lines and post-race activities. The bridge run is a constant presence and year-round commitment for Barfield and Barnette. 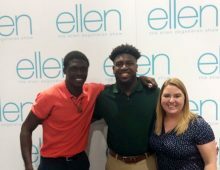 The executive committee meets monthly and holds a planning retreat every summer. Even their offices at the College are close to the action. From their office windows on the second floor of the Silcox Physical Education and Health Center, both can see the bridge run’s finish line at Meeting Street and George Street. While the executive committee plays an important role in planning each year’s race, Barfield and Barnette say that most of the credit for what the bridge run has become goes to its longtime director, Julian Smith. “He is a master of making things happen,” Barfield says. Barfield, who holds a Ph.D in biomechanics, has always been fascinated by the dominance of the East Africans, which first began to dominate the bridge run in the early 1990s and have not let up since. Following one year’s race, Barfield designed an experiment to help his students better appreciate the phenomenal speed at which the elite runners had traversed the Cooper River. 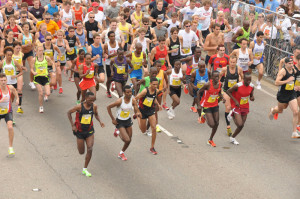 That year a runner from Kenya ran the course at an average speed of 13.7 mph. Barfield and some of his students wanted to see how long they could run on a treadmill set at that same speed. As the treadmill’s conveyor belt spun at a dizzying rate, one student after another quickly abandoned the test. “The longest anyone could hang on was just over one minute,” Barfield says, laughing. Bill Barfield can be reached at barfieldw@cofc.edu or 843.953.6746. Scooter Barnette can be reached at barnettes@cofc.edu or 843.953.6747.